For the first time, Pioneer Works will remain open throughout the night for the closing of Solid Light Works. #SolidLightWorks All Night will segue into Pioneer Works Second Sundays programming. For the duration of the night, there will be activations throughout the exhibition space. 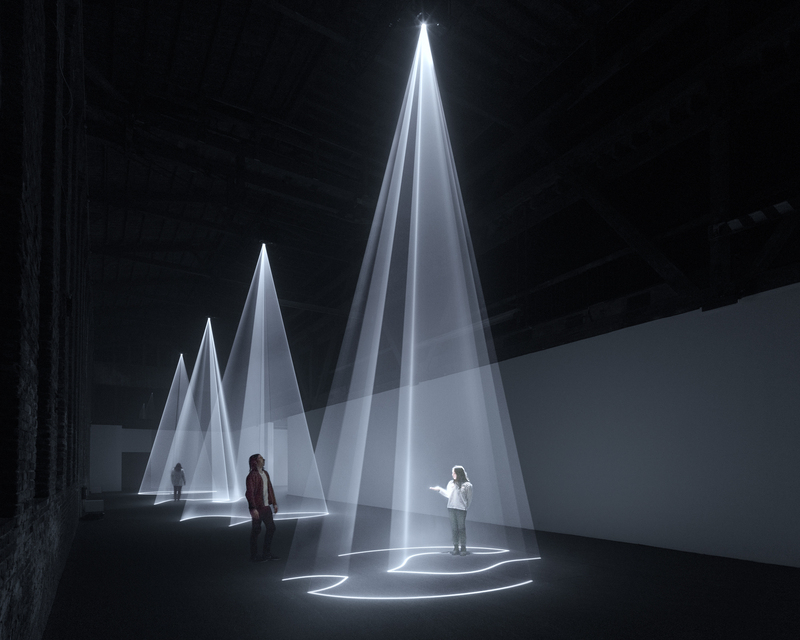 Anthony McCall’s sculptural works marks the artist’s first institutional exhibition in New York and the first time his vertical installations are shown alongside their horizontal variants. Solid Light Works explore the intersections of light, movement, drawing, and space that form evanescent and ever changing three-dimensional forms that exist not only as “objects” in space but also as environments to be experienced.